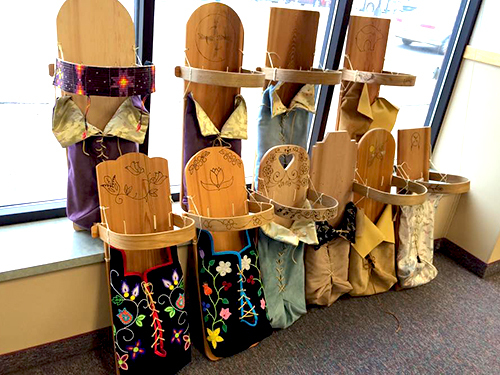 Whenever I found a new issue of The Circle, I would turn first to Jim Northrup’s column, “Fond du Lac Follies.” There I learned about Ojibwe lifeways: the cycle of the seasons, from sugar bush through ricing; the language camps embraced by Jim and his wife, Pat, who also spent countless hours together weaving birch bark baskets. The Northrups also seemed to host an endless stream of visitors at their home in Sawyer, Minn.
Jim wrote about motoring around the country, to speaking gigs at college and university Native studies programs and to veterans’ reunions; he also jetted around the world, to places like Hungary, where people seem to know more about American Indian history and current struggles than do non-Indians in the United States. “Fond du Lac Follies” also included jokes, in Ojibwe and English. Jim Northrup wrote his column for 25 years, hanging up his “spurs and computer,” in his words, about two years ago. This year, on Aug. 1, he walked on. He was 73. Regarding the Vietnam War, in 2010, Jim told a huge crowd at Lambeau Field in Green Bay, Wisc., that writing about his war experiences “helped with the trauma of combat.” If you’d like to get a taste of Jim reading his poetry, there’s a YouTube video from LZ Lambeau: Welcoming Home Wisconsin’s Vietnam Veterans at: bit.ly/jim-lambeau. May the memory of Jim Northrup always be a blessing for his family and friends. My wife and I recently watched “Songs My Brothers Taught Me,” a gritty and affecting film about contemporary Indian life set on the Pine Ridge reservation. There aren’t many fictional narrative films that deal so compellingly with the struggles young Indians face, as far as staying or leaving the rez. Director Chloé Zhao, a native of China who came to the U.S. alone as a young teenager, gets great performances from the young Native actors, especially John Reddy, a Pine Ridge native who plays the film’s protagonist, Johhny Winters. He’s a bootlegger who runs afoul of another group smuggling beer and liquor from the border town of White Clay, Nebraska. 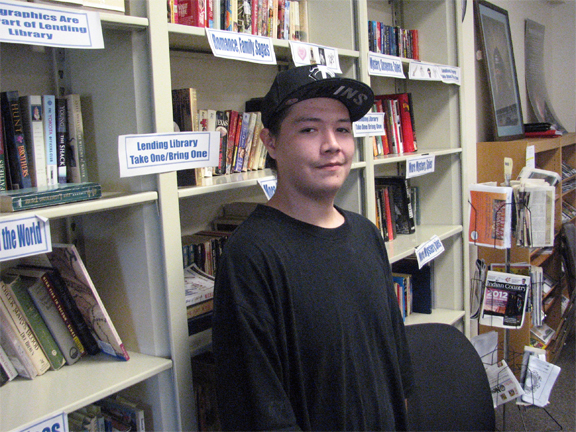 Johhny is contemplating leaving Pine Ridge for Los Angeles, where his girlfriend will be attending college. Veteran actor Irene Bedard (“Lakota Woman,” “Pocahantas”) plays Johnny’s mother. “Songs My Brothers Taught Me” is available on DVD from Kino Lorber, and from Netflix. The high profile story in Indian Country last month was the struggle to stop the Dakota Access Pipeline, which is planned to run underneath the Missouri River, just north of the Standing Rock reservation in North Dakota. Some 120 tribes from across the country have voiced support for the Standing Rock tribe’s stand for water and against the 1,200-mile pipeline that would carry oil from the Bakken field in western North Dakota to southern Illinois. In late August, Standing Rock chairman David Archambault II wrote an op-ed for the New York Times that put this struggle in the historical context of U.S. violations of the 1851 and 1868 Fort Laramie treaties and other depredations against the Dakota/Lakota nation. I will explore the issues here in a future column.